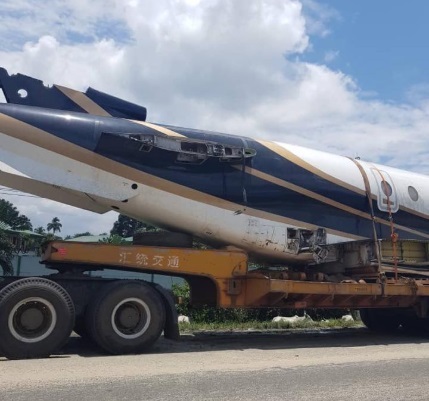 An eyewitness identified as Humphrey Hu, who lives in Port-Harcourt, took to social media to share pictures of an aircraft which was being transported in a truck in the state. 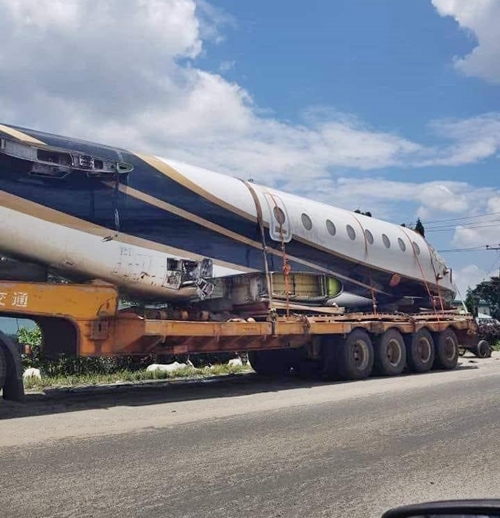 As the clip is making the rounds online, some Nigerians claim that the damaged plane was probably brought into the country as a fairly used product..
Humphrey who shared the clip and images wrote: "Now see Nigerians importing plane through Port Harcourt wharf. What is going on?"